Over the past three years, the Raspberry Pi has proved that a credit card-sized microcomputer can routinely surprise users with its sneaky power and capabilities. Of course, the only problem is that a DIY computer with that much open source access and versatility can almost be too much of a good thing. While it’s crafted to help young and old programmers get a handle on everything a computer can do, it’s often hard even for those intrigued by the Pi to know where to begin. If that sounds like you, you can tackle the Pi by completing a host of cool Internet of Things projects with this Sensor Starter Kit for Raspberry Pi. The deal (which also includes a fully functional Raspberry Pi 3B with an 8GB TF card) is discounted to $129.99 from TNW Deals. In addition to your Pi, which can run Windows, Linux, and virtually any other operating system, you’ll also get a bundle of 37 sensor modules. This bundle, including different lights, switches, vibrations, buzzers and other modules, comes with detailed instructions to assemble 35 different projects. And before you get worried, these sensors are engineered for the specific projects, helping ensure that crafting your end product goes smoothly. Using Python and visual programming language software, coding comes together easily, so even beginners can experience the satisfaction of victory as you build auto-flashing LEDs, rain detection sensors, trackers and more. 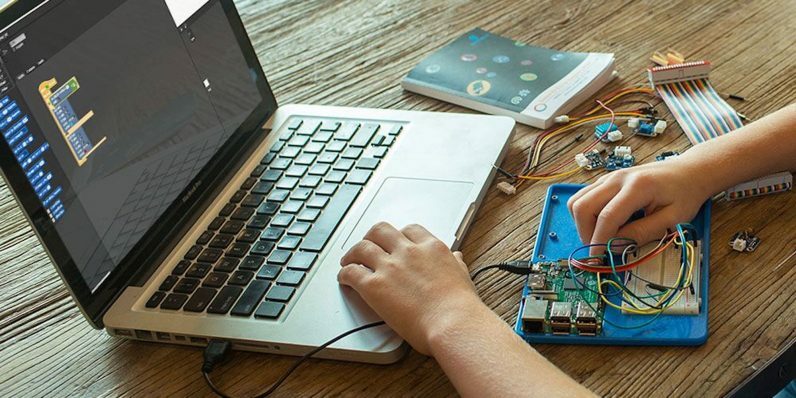 It’s the perfect set for an inquisitive kid to get started with both programming and simple electronics — not to mention, you get a Pi 3 on top of it all. For a limited time, this sensors-and-Pi package are available with a $14 discount, getting you the entire bundle for only $129.99.